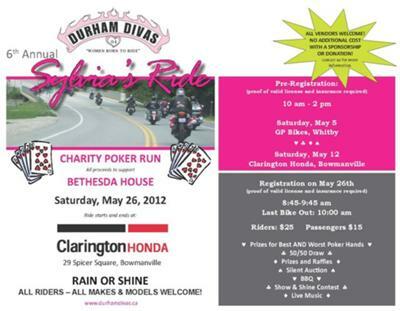 Please join the Durham Divas for our annual charity ride on Saturday, May 26th. This year we're raising money for a local women's shelter, Bethesda House. The ride starts and finishes at Clarington Honda. Please refer to our poster for details.